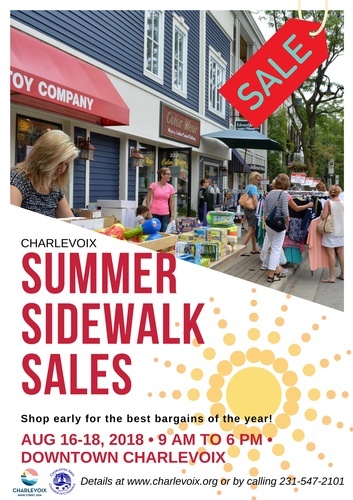 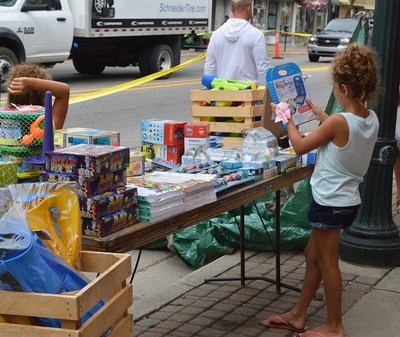 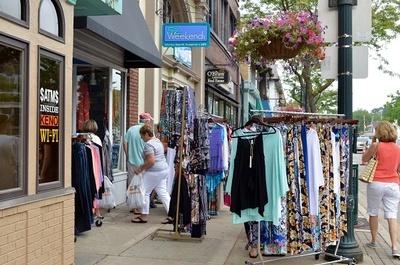 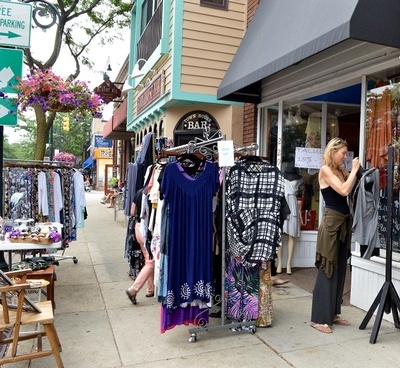 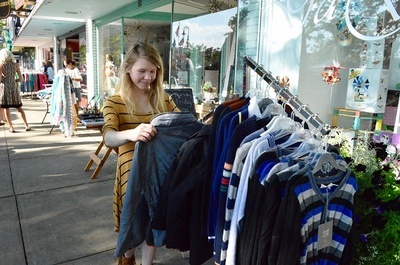 Charlevoix area merchants are pleased to once again offer hot summer deals at their annual end of summer sidewalk sales taking place Thursday, Friday and Saturday, August 16, 17 & 18. 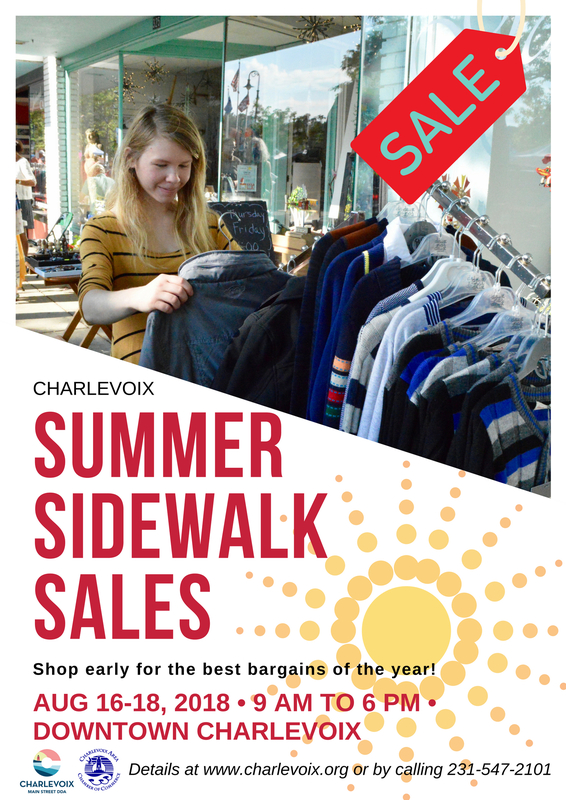 Take advantage of substantial reductions on a variety of seasonal inventory that must go. 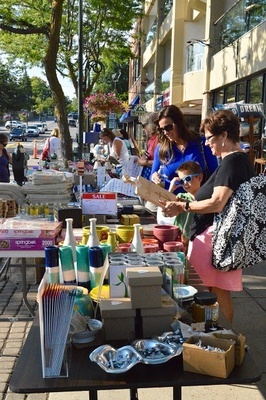 Merchants will be out in force with great sales to reduce inventories before the fall season. 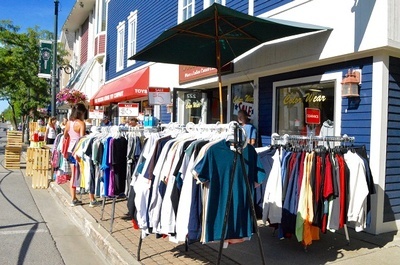 Shoppers will find great discounts on gift items, home decor, clothing, books, jewelry, accessories and more. 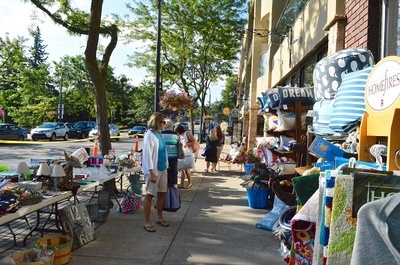 Hours may vary, but most merchants will be on the sidewalk from 9am to 6pm and inside after 6pm. 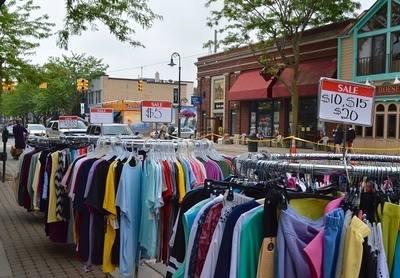 So shop early for the best steals, deals and unbelievable savings. 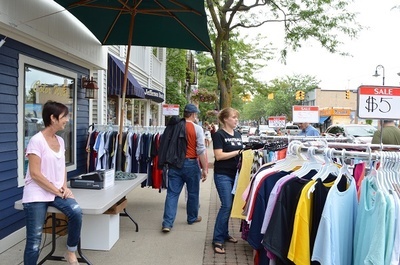 Don’t miss the best bargains of the year on an array of quality merchandise at participating merchants located downtown Charlevoix and throughout the area.